Why Do Italians Prioritize Their Appearance? Before you begin working your way to foreign language fluency, it helps to understand the culture behind the language you’re learning. After all, language exists to help a group of people express their ideas and beliefs. Italy is an old country with a rich history and culture. As you begin your Italian language program, gaining a strong grasp on this history, the values, and the etiquette will help you rapidly achieve success. 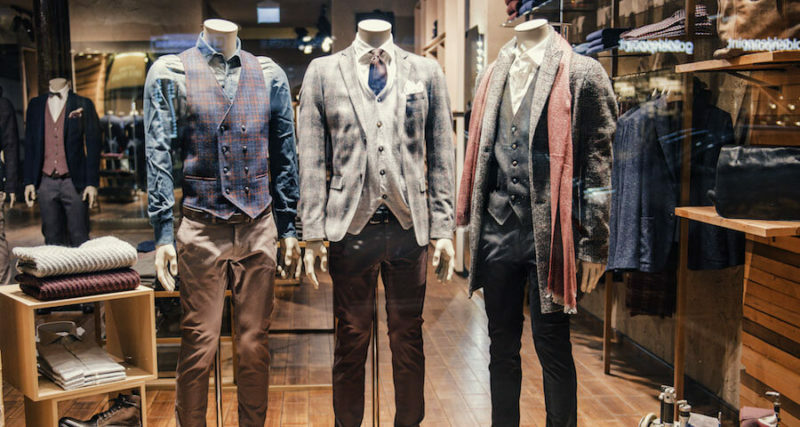 In particular, Italians place a great deal of value on fashion and maintaining a presentable appearance. The Italian city of Milan is one of the most important fashion capitals in the world and a center of European high fashion, so it comes as no surprise that Italy culture give a significant focus on fashion. Italians, especially women, are expected to spend a large portion of their disposable income on high-quality clothing and accessories. Businesswomen wear chic, well-cut clothes from designer labels, and businessmen wear fashionable ties with well-tailored suits. Italian fashion is often understated but elegant and classy. There are no explicit formal dress-codes in Italy, but Italians know what to wear in different places and situations. Different fashions may be appropriate depending on the time of day. Just as cappuccinos are not enjoyed after lunchtime, men do not wear shorts in the evening. Tourists are easy to spot during the summer, because of the difference in what they wear. Italian dress is not just a badge of success, but also a sign of respect. Churches and other holy places forbid shorts, miniskirts, and sleeveless tops. Be aware that some churches will turn away visitors wearing overly revealing clothing. To avoid standing out as a tourist in Italy, always over-dress for the situation. Jeans are acceptable as long as they are dressed up with an elegant jacket or top, but sweatpants and sports clothing are heavily frowned upon. Tight and fitted clothing is preferable to loose, baggy clothing. Italians value high-quality, fashionable shoes, so flip-flops and worn tennis shoes should be avoided. When talking about shopping in Italy, you are going to want to hit either Milan or Rome. Those two places are full of department stores that are built specifically for tourists who might be looking to get the latest Italian fashions. Places like Metron, Upim, and Standa are all rather high-end department stores that usually have employees that can speak English and Italian, and they take credit cards. This is a distinct difference from what the rest of these kinds of shops offer. Italy also has a few seasons where stores in the country tend to offer sales prices on items. These items are generally marked down in January, July, and August. At the same time, these sale prices tend to be rather expensive. When talking about fashion, what is generally considered cheap is still rather expensive in places like the United States and Great Britain. People who are serious shoppers are going to go on the hunt for certain items which can be very hard to find in Italy. Electric kettles, duvets,and light bulbs that are not screw in bulbs are all weirdly difficult to find in Italian stores. If you are bringing your own appliances on your trip because some of the things are hard to find, you will need to bring an adapter if you are coming from the United States or Great Britain, since the outlet prongs that you find in Italy are different. Italy is known to be the center of the fashion world with its many fashion houses and the fashion shows of Milan. Making a good impression and dressing one’s best is very important in Italian culture. Many Italians will spend a good amount of money making sure they have the latest fashions and the right designer labels. Italians believe in dressing to what you aspire to be. Thus, even if you are just starting out in business, you should dress like a top executive. Many Italians say that it is very easy for them to tell if someone is from a foreign country, not only by the clothes they wear, but the way a person wears clothes. Others may see the importance Italians place on style as being superficial, and state that you should judge a person on what they do and how they act, not what they wear. But to the Italians, what you wear represents the type of person you are. Italians are not simply making judgements based on how a person dresses, but how that person chooses to present themselves to the rest of the world. They believe that maintaining a good appearance is important, especially when things are going wrong. For Italians, even if you are working hard to keep things together, you should always give a good presentation.